Hey, guys. I hope you're all having a lovely holiday (mine is about to end really soon *sniff*). These are the last moments of 2014 and I am not in another country, not having this joyride adventure, but instead I am stuck at home in my bedroom with a bad case of a sore throat, a cold, and some horrible coughs. Sad face. 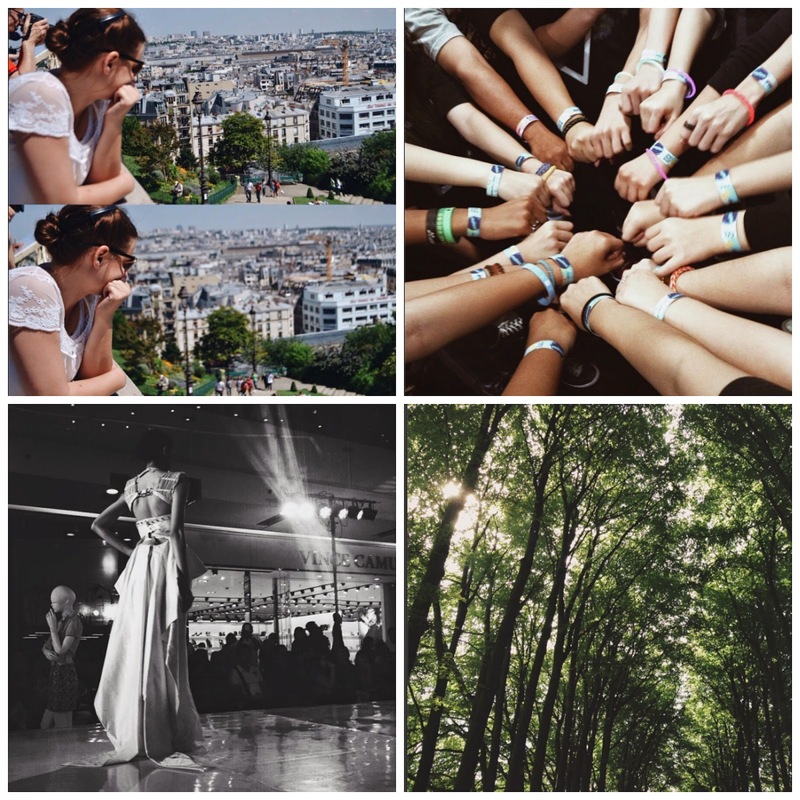 But anyway, I wanted to share some recent pictures from my Instagram feed that practically summarizes my 2014 in some ways. If you want to see my photo feed, you could visit this post I made a while ago called "Ten Thousand Words" where I posted 10 of my best pictures. I hope your day is going a bit better than mine is. Charlottenburg Palace - A gorgeous palace located in Berlin, built in the 17th century with touches of German architecture. Absolutely beautiful. This was taken in June this year. A cup of goodness in a cold afternoon - Taken on my trip to this cabin up in the mountains earlier this year. I sat outside and enjoyed the fresh air with a book and this cup of oats drink. Anne Frank - One of the very meaningful quotes I found this year. 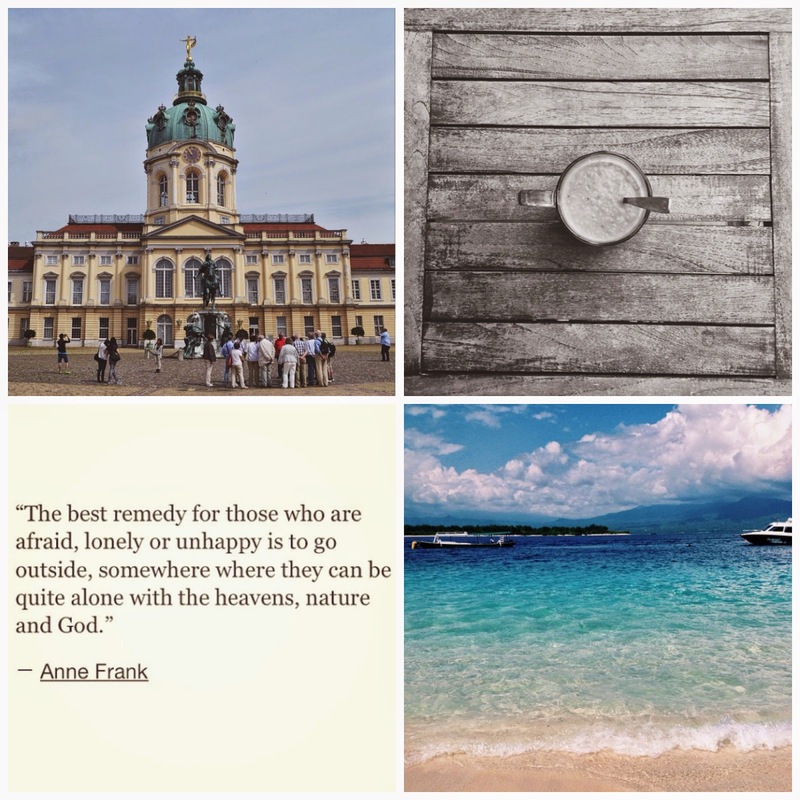 Anne Frank said the best quotes and I admire her and honour her in a thousand ways. Throwbacks - This wasn't actually taken in 2014, but this was practically one of the best summers of my life. Look at that clear blue water! Paris ft. Stranger - Taken from the Sacre Coeur de Montmartre, Paris. I was looking out to the city and just how gorgeous everything was, and I took these two pictures (she never noticed). March of the Heroes 2014 - My friends and I attended a Hillsong concert this year, and it was amazing. We listened to "Alive" the whole evening, and took this picture. I think it's powerful. Fashion - I didn't create this look but my stepsister took me to this local fashion show and we got front row seats. This particular look caught me off guard. It was stunning. The Trees of Apeldoorn - Apeldoorn is a small town located in the Netherlands, it's one of my favourite towns ever because it was so peaceful and quiet and beautiful. These were the trees located at the front yard of their palace. I was shocked and devastated when I found out that an aircraft from the Air Asia airline (flight QZ 8501, leaving to Singapore) lost contact with the control station at around 7:23 am, just 3 days after Christmas. It hit my hometown and we've never seen or heard of anything like it. You'd think that things like these belong in the headlines, not at home, but there is no telling what could happen to each of us. My thoughts and prayers are with the people in the aircraft, and also (very especially) to those who lost their family or friends. Praying for strength for the people affected, and also praying very hard for miracles to happen. Nobody should go through something like this. I could never imagine what it's like. I ask you guys to please join us all in prayer and pray for the people affected by this horrible situation. 162 people were on the aircraft, including families with kids and toddlers. The family and friends are suffering and confused and devastated, please pray for the return of the aircraft. Aw, thanks a lot for following me! I'll totally check out your blog too. Thanks so much! Wishing you a joyous 2015 as well. beautiful shots!!! :D thanks for sharing your year in IG snaps! These are lovely snaps! Happy New Year! Great photos, so is this post. I pray for them as well, it was a terrible thing to hear :( Happy New Year to you, stay awesome. Anne Frank is so right! Love the pictures <3 Happy New Year! Lovely post! Great pictures! Looks like you had an amazing year. I followed you on Bloglovin, I'd love it if you follow back so we can keep in touch! Great post! Happy New Years! Look forward to more posts from you in 2015.